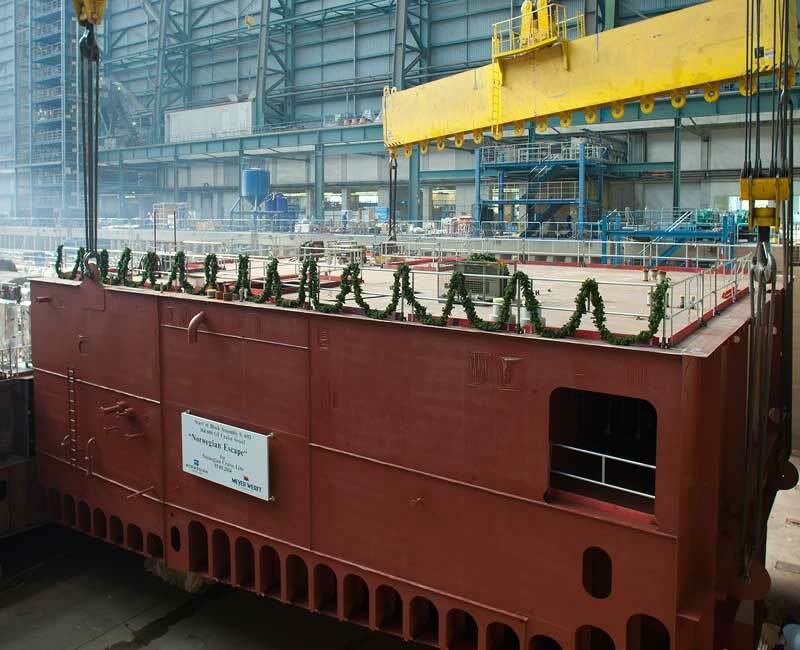 Norwegian Cruise Line’s new class cruise ship the Norwegian Escape is now becoming a reality as block 1 of 86 was lowered into position at the Mayer Werft shipyard in Papenburg, Germany. Each block will be added over the coming months to make up one whole 164,600 ton cruise ship. 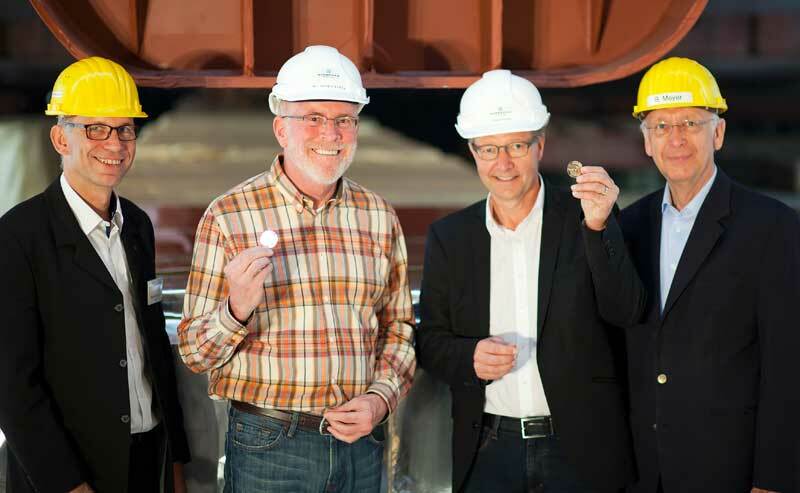 NCL and Meyer Werft executives took part in the official Keel laying ceremony which was help at the shipyard where Norwegian Escape is being constructed. 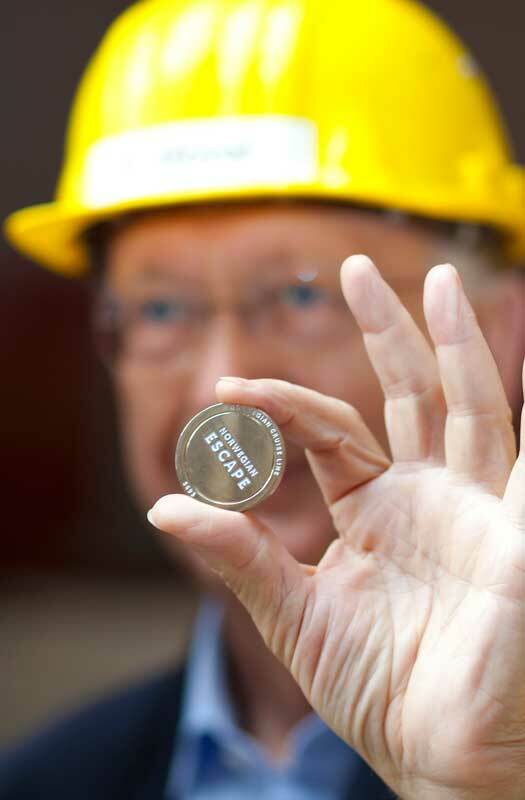 In the dock, Kevin Sheehan, Norwegian Cruise Line’s president and chief executive officer, laid the traditional “lucky coin,” before the 400 ton block was placed by the 800 ton crane. 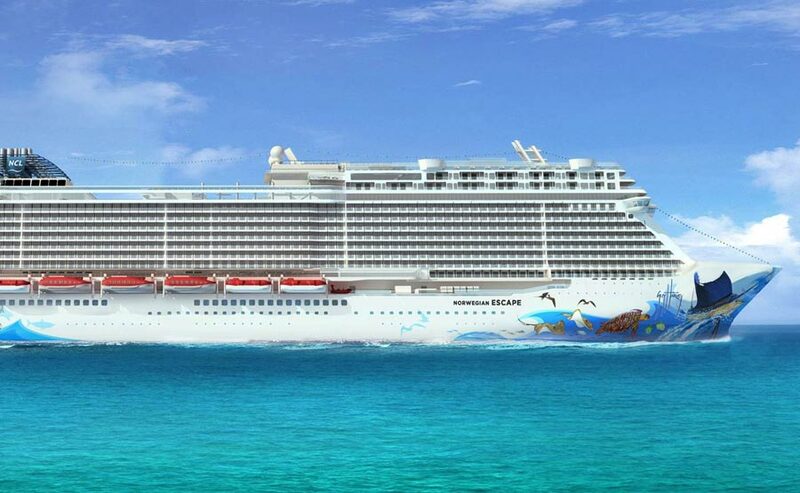 “We are pleased to start construction of Norwegian Escape”, says Sheehan. 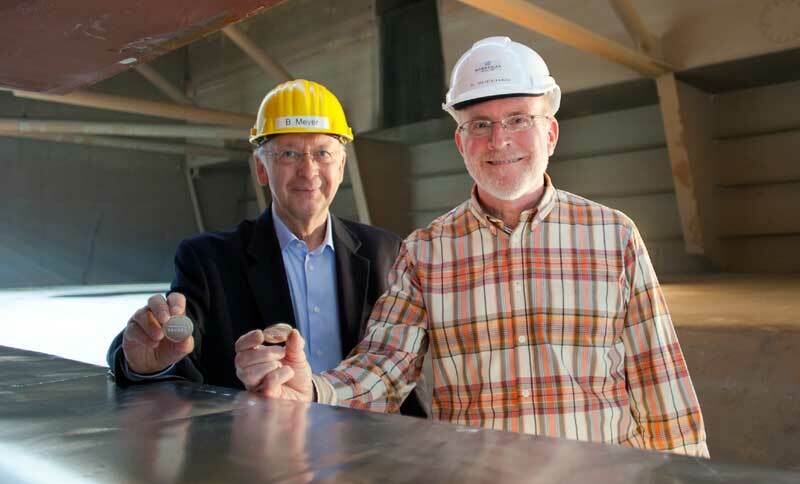 “The start of the block assembly is a significant milestone and we eagerly anticipate the delivery of Norwegian Escape in the autumn of 2015.” The Norwegian Escape is the first of four ships with a length of 324.6 meters and a width of 41.4 meters that MEYER WERFT will be building for Norwegian Cruise Line until 2019. Norwegian Escape is the first of 2 Breakaway Plus class cruise ships with Norwegian Bliss to be delivered in March 2017. NCL has also ordered two slightly larger vessels that are also to be constructed by Meyer Werft. 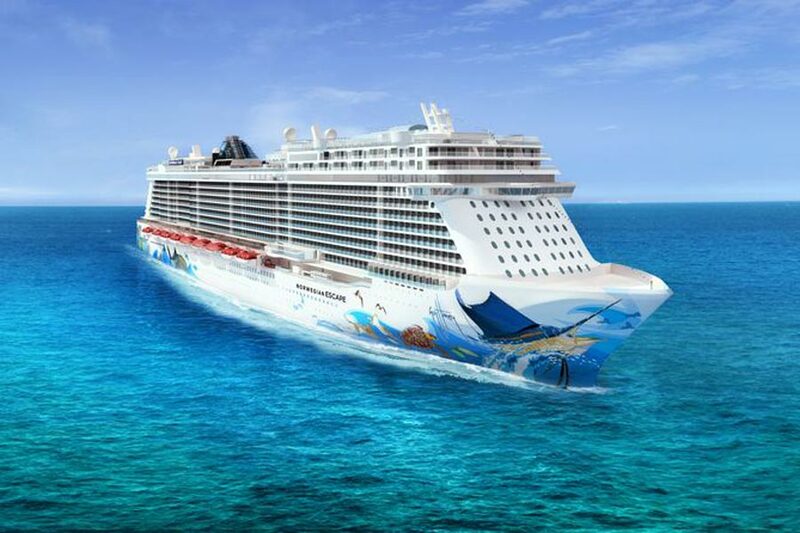 Starting from October 2015, Norwegian Escape will begin seven-day cruises from Miami to the Eastern Caribbean, taking 4,200 guests to the tropical destinations of Tortola, British Virgin Islands; St. Thomas, American Virgin Islands and Nassau, Bahamas. The new building will unite all the exciting and innovative features of both Norwegian Breakaway and Norwegian Getaway. On top of that, she will feature a series of new public rooms and interactive experiences.